Whether you need a quick sound clip or an interview for your podcast – Patrysha is always up for the opportunity to speak on issues related to entrepreneurship – especially when it’s about frugal marketing, publicity or unconventional professionals. 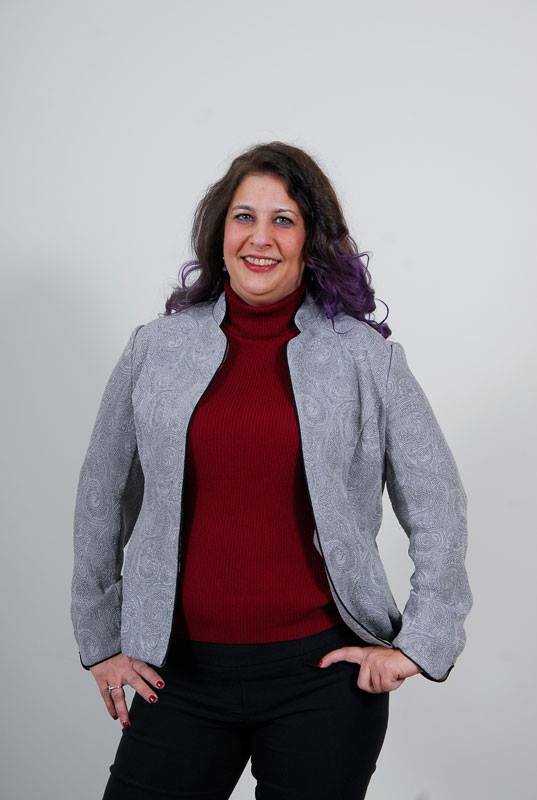 As a former publicist, she understands the importance of timeliness and relevance and can speak knowledgeably and conversationally to a wide range of audiences depending on your specific needs. Patrysha has appeared in a number of publications and media outlets since 1999 as a contributor and as a subject, links to the most recent coverage are below the contact form. To arrange an interview or guest post – get in touch using the form below. If time is of the essence, text your request to 780 779 0403. Febru ary 2017 – Random Flowers of Kindness Promotion for Life In Whitecourt. Whitecourt Press – The independently owned weekly news publication serving Whitecourt Alberta. 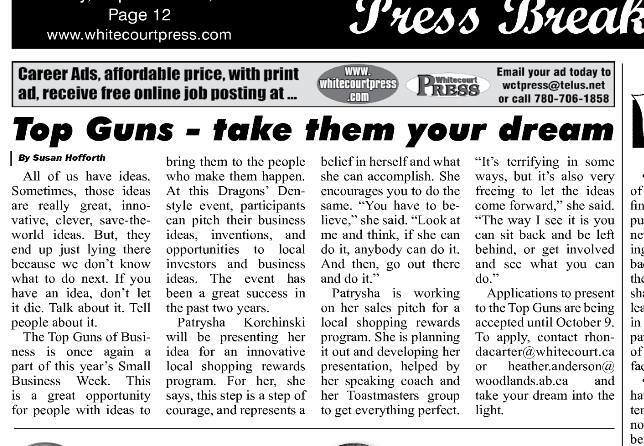 Whitecourt Press: October 2015 : Interview about the local Top Guns event in which Patrysha competed in a Dragon’s Den Style Competition with her Community Connected Commerce project idea.